An entertainer's dream, this stunning home features gorgeous stonework throughout. Spacious rooms, a master chef's kitchen featuring top of the line appliances. An oversized master with a separate retreat and a beautiful bath makes this home a place you'll never want to leave! A backyard that is nothing short of spectacular gives this home a resort style-feel. Drought resistant landscaping. All within walking distance of the village, beaches of Del Mar and Torrey Pines Reserve. 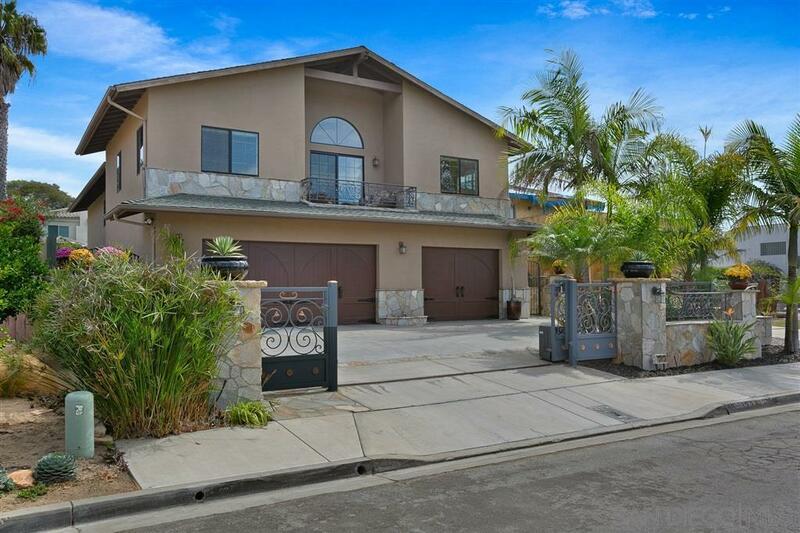 West of the 5 freeway, This stunning home exudes style and elegance. Enter through your private gated front yard or directly from your garage. Once inside Versailles Pattern Walnut Travertine flooring flows throughout the entire home. The perfect floor plan: Living room, formal dining room, kitchen, family room and half bath all downstairs. Four bedrooms and your own private Master Bedroom Suite Oasis upstairs. You are going to fall in love with this stone showroom. Downstairs: Striking Verde Fire Granite Kitchen Counters and Backsplash, custom made cherrywood cabinets throughout, Viking 6-Burner with Grill Oven, stainless steel appliances, custom built archway pass-thru from kitchen; sushi style bar seating 8, open stairway with two entries; river-washed natural granite counter in Â½ bath with carved vessel granite sink; stone fireplace with limestone mantel and hearth. Upstairs: Master bedroom suite: High vaulted ceilings; custom basket weaved cabinets; private office/sitting room with wet-bar with microwave, Tuscany Gold countertop, copper sink, and small glass door Viking frig. Master Bath: Jacuzzi tub, Mr. Steam Shower floor to ceiling, rain-head shower head, Tuscany gold countertops with dual Native Trails Copper Sinks; large master walk-in closet.